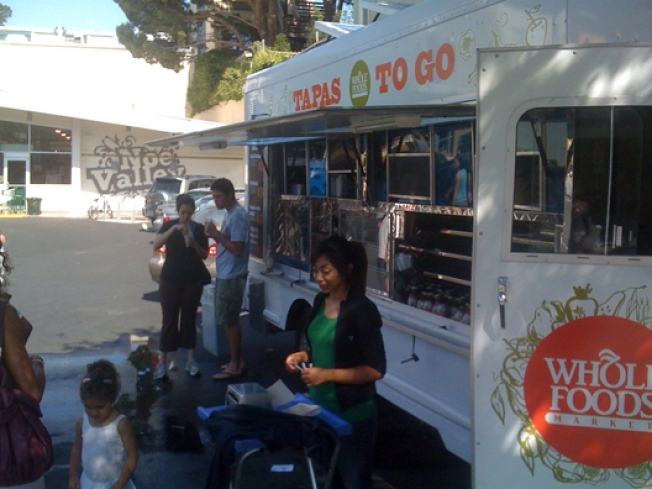 Is Street Food Going Corporate? With the outrage, and then backlash, from the revelation that the Waffle Mania Belgian Waffle Truck was serving waffles with batter shipped from Belgium (Quelle horreur! ), San Franciscomaking it easier for existing restaurants to roll out carts and trucks last year and news from Los Angeles that venerable Canter's is hitting the streets while the Baja Fresh chain is looking to expand it's Kogi knock-off taco truck operation named "Calbi," one might wonder how long before cries of "sell out" and "co-option" hit like a bad flashback from the Seattle grunge scene circa 1991. So what do you think, will the outlaw entrepreneur spirit be able to survive larger businesses capitalizing on the fad? Let us know in the comments section, or head on over to Eater SF and vote in their poll.